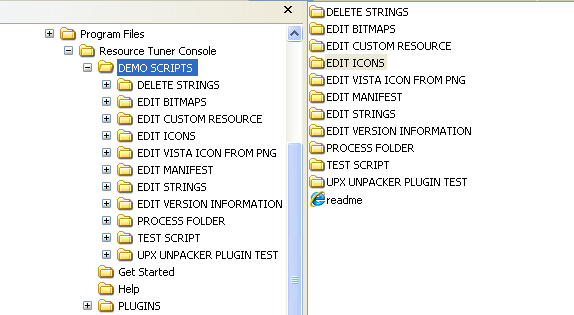 Command-Line Resource Editor: How To Use Scripts and Make Changes in EXE DLL Files from BAT file. 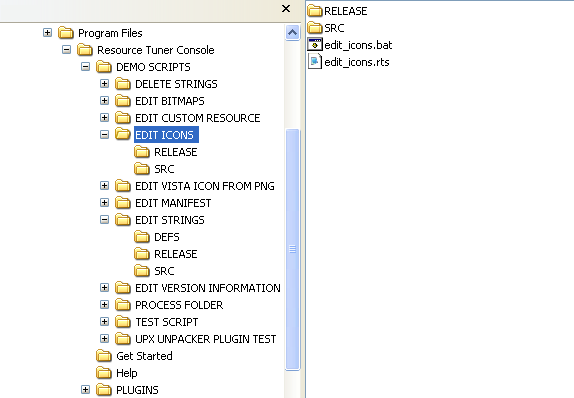 To evaluate the sample script on Windows 7, RTC should not be installed in the Program Files location. Running the test script in the PF Folder causes exception. 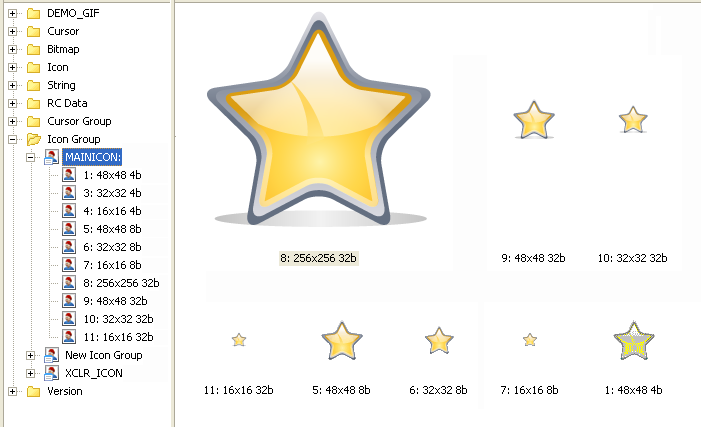 Not only does Resource Tuner Console handle the large Vista icons in .ico format, it supports adding Vista-style icons in .png format from stand-alone .png files. 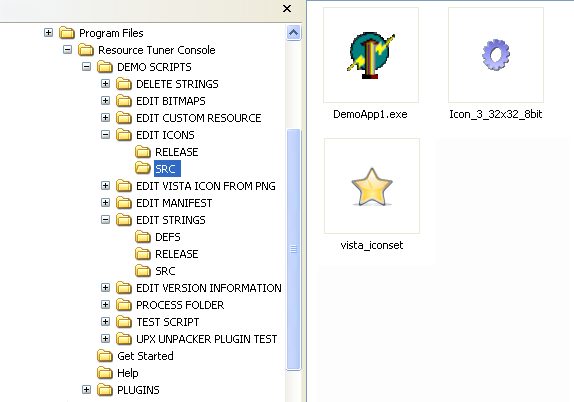 For greater detail, explore the EDIT VISTA ICON FROM PNG folder.